An ideal way to start children on an exciting, creative adventure towards global understanding! 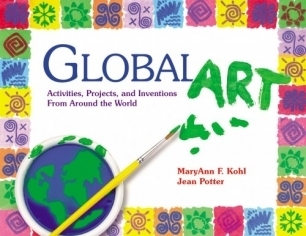 The fun, easy-to-do art activities in Global Art use collage, painting, drawing, printing, construction and sculpture to help children appreciate people and cultures from all over the world. Each activity is explained in step-by-step detail and accompanied by geographic and cultural background to help you make the most of the teaching possibilities. Expand Your Horizons with Global Art!